Today I thought I would do a little bit of a 'wishlist' post. With winter coming up, all I want to buy is snuggly warm cosy coats. And so here we have my favourite top picks that I've found so far this season. Hopefully this will give you a little bit of inspiration if you too are looking for a lovely new coat for this year! A lot of shops at the moment also have great discounts on coats so definitely make the most of that! A decent warm and stylish coat doesn't have to break the bank! This coat is from the Kourtney Kardashian collection for Pretty Little Thing and OMG how gorgeous is it?! It's perfect for a special occasion where you want to be the centre of attention and isn't too highly priced for a faux far coat! This also comes in a stunning lime green colour too for the slightly more daring of you! This coat is giving me serious Kim K vibes! You can't go wrong with a simple but effortless camel colour waterfall coat - you can wear it with anything! These come in literally every colour and they're just so easy to throw on. I used to have a coat just like this a couple of years ago and I really wish I still had one! It's perfect for when you want something that is simple and understated but will keep you warm. I usually love leather jackets but when they're not ideal when it's below freezing outside! How pretty is this?! I don't think I've seen anything like this on the high street. It is so simple elegant but with a really pretty and delicate twist. 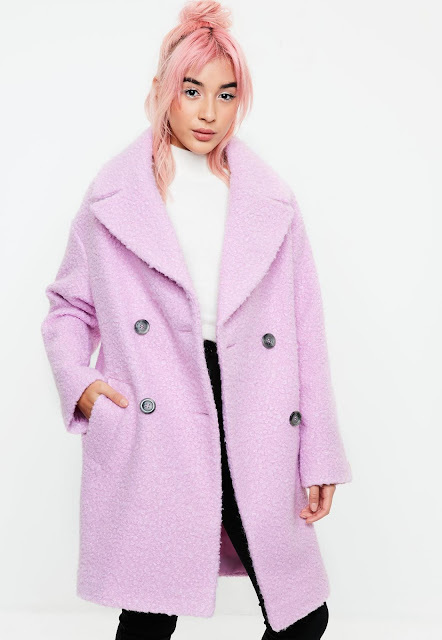 I love anything pink and fluffy but I don't always like super bold fashion and so to have something like this in my wardrobe will be perfect. This looks soooo super cosy doesn't it?! 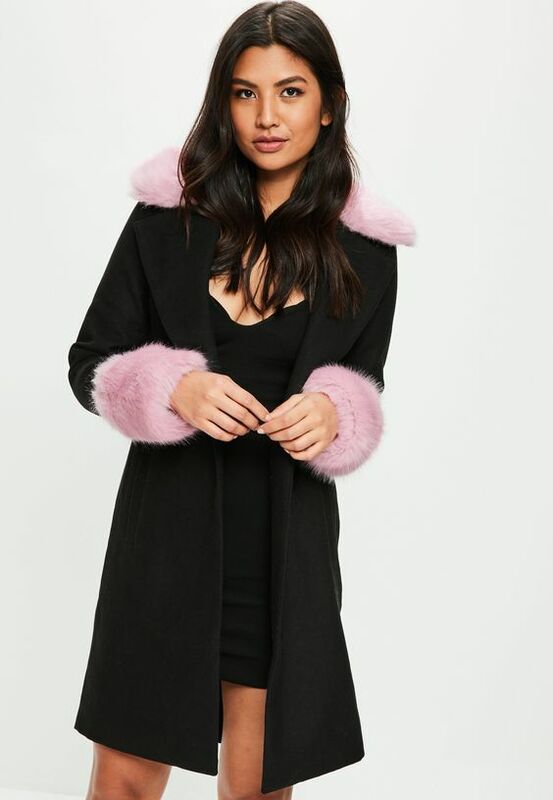 I hate being cold and so love to wrap up in fluffy coats and this one looks gorgeous! I love the nudey pink colour as well - very on trend this season! This coat is stunning! I absolutely love the deep emerald green faux fur accents. I feel like it's such a gorgeous pop of colour without being too overwhelming. I don't think I've seen any other coats with this colouring on the hughstreet, and so at £45 this is a absolute bargain! I love these kind of oversized coats and have a couple in my wardrobe. You can throw on any outfit underneath and hide all cosy inside. I love this colour in particular. 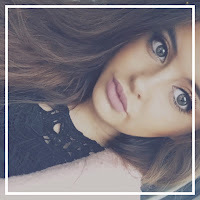 I like pastel and brighter colours in the winter to brighten up those dull cloudy days. They also have a lovely mustard colour which is so autumnal! Can you tell I love faux fur? This I would say would be my typical everyday coat. Warm, waterproof(ish) and so easy to wear. 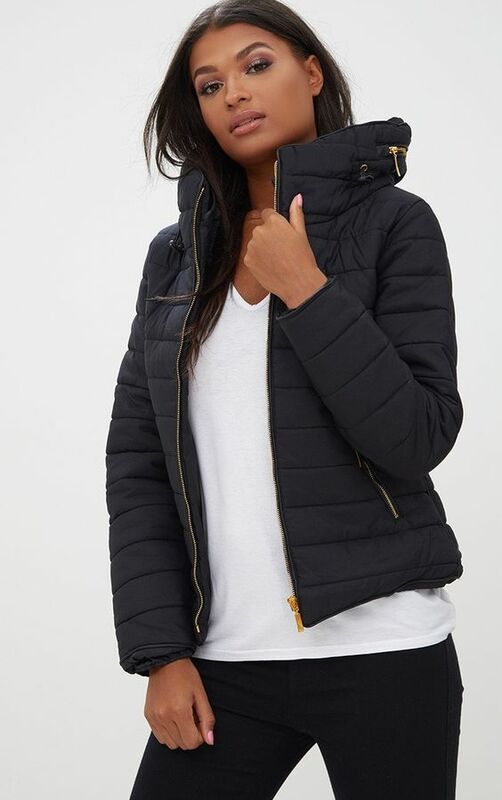 You can pick up a coat like this anywhere on the highstreet and they can all have different fits and styles. I love ones with the drawstring to pull you in at the middle and give you a lovely shape. I hope this gave you some kind of inspiration if you are looking to buy a new winter coat at the moment! As always, let me know what you guys think and if there's any posts that you would like to see! Some of them are my dream coats, but definetely not for Ukrainian winter. More like autumn / spring coats.